I decided to offer a fun Holiday Special, so feel free to get in touch with me if you want to have a shoot! ‘Tis the season to celebrate! 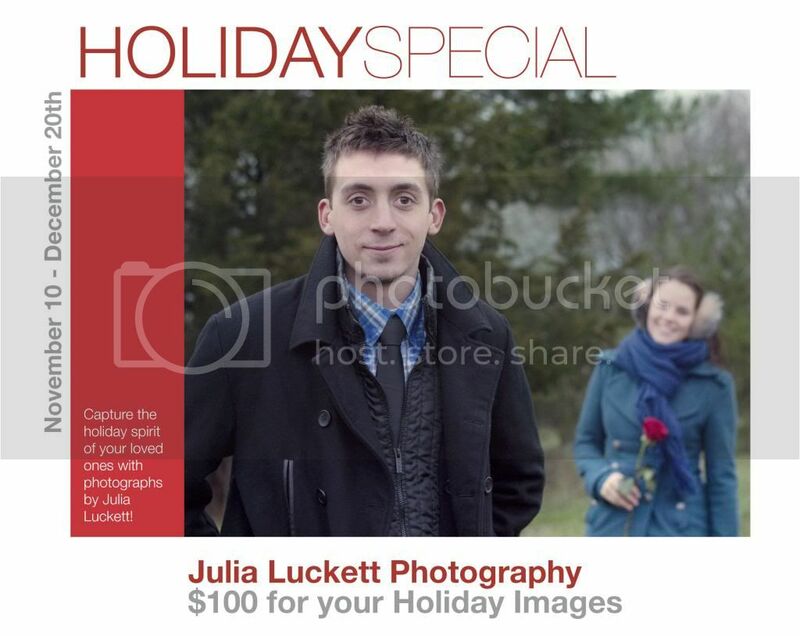 Enjoy this holiday season with images of you and your loved ones for only $100. This includes a full photoshoot at your home or in the beautiful countryside of Saratoga Springs. I will then present you with 60-100 of the best images and you can choose your favorite 10 images to use for holiday cards, gifts, or to enjoy in your home. Any additional images will cost an extra $10 each. Since graduating from Skidmore College, where I received a BS in Music and Studio Art with a focus in Photography, I have been working as the studio manager of local photographer, Emma Dodge Hanson. To view my diverse portfolio you can visit my website, www.julialuckett.com. For booking or any questions you might have, you can contact me by email at julialuckettphotography@gmail.com or by phone at (802) 881.8572.